REGIONAL—Tribal authorities who cooperated in the drafting of the Final Environmental Impact Statement on PolyMet Mining’s proposed NorthMet project say the document has failed to address one of their most consequential objections— namely that it significantly underestimates the amount of untreated mine water that will escape from the mine, and the direction that the water will flow. Tribal officials, led by the Great Lakes Indian Fish and Wildlife Commission, or GLIFWC, first raised their concerns last summer, after release of the preliminary final environmental impact statement. The Minnesota Department of Natural Resources, which has led the environmental review, with help from the U.S. Forest Service and the Army Corps of Engineers, indicated at the time that GLIFWC’s concerns would be addressed in the final version, which the agency released on Nov. 6. But Charlie Rasmussen, spokesperson for GLIFWC, said the final version offers nothing new on the subject. “There is no change of substance in the FEIS since the [preliminary version] relative to the mine site groundwater hydrology or the question of northward flow,” he said. If anything, said Rasmussen, the available information has only strengthened GLIFWC’s position. “The geologic characterization of the mine site in the FEIS supporting documents and the physical location of the PolyMet and Peter Mitchell mine pit lakes at closure dictates substantial northward flow,” he added. 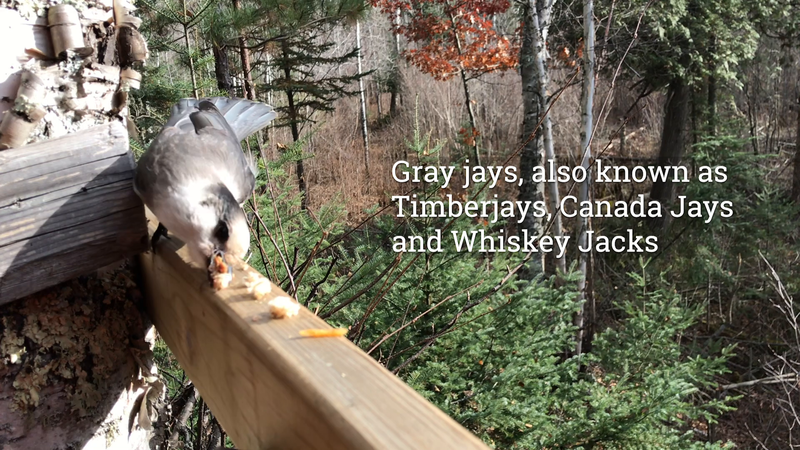 DNR officials, in response to recent questions from the Timberjay, say they carefully considered the information presented by GLIFWC. They say they even revised model runs using the water level inputs suggested by GLIFWC, and the results confirmed GLIFWC’s conclusions that groundwater from NorthMet’s east pit would flow to the north. However, DNR officials say the change requested by GLIFWC overlooks the purpose of the modeling in question. GLIFWC officials argue that the modeling is flawed, in part, because PolyMet’s consultant, Barr Engineering, used a water surface elevation of 1,616 feet in the nearby Peter Mitchell pit (located a mile to the north) as a model assumption, rather than the much lower water level (1,300 feet) anticipated at closure of the mine. The water surface level in NorthMet’s east pit is projected at 1,596 feet at closure and GLIFWC argues that the head pressure created by the nearly 300-foot differential between the water levels in the two pits will force large volumes of untreated groundwater from the NorthMet pit to the north, into the Peter Mitchell pit. The Peter Mitchell pit is slated to discharge into Birch Lake at closure. Birch Lake is a reservoir of the South Kawishiwi River, which flows into the heart of the Boundary Waters Canoe Area Wilderness, so the risk of a potential northward flow has generated increased concern from wilderness advocates. The DNR maintains that the model in question, known as MODFLOW, was not used to predict groundwater outflow from NorthMet’s east pit, only potential inflow from the direction of the Peter Mitchell pit. The DNR statements, combined with information contained in the FEIS, strongly suggest that the agency believes that NorthMet’s east pit and the nearby Peter Mitchell pit are hydrologically- connected, despite the fact that the two pits are located in distinct surface watersheds. Yet, according to the DNR’s website (www.dnr.state.mn.us/watersheds/surface_ground.html), groundwater “watersheds” do not necessarily coincide with surface watersheds, and this appears to be one such instance. The DNR acknowledges that the model it used set Peter Mitchell water levels artificially high to maximize the estimated flow of water from the Peter Mitchell pit to the south, into NorthMet’s east pit. When set in such a way, the MODFLOW results do suggest a substantial flow of water — about 700 gallons per minute, or just over 1 million gallons per day—from the direction of the Peter Mitchell pit into the NorthMet east pit during mine operations. That’s because mine dewatering would keep the water level in the NorthMet pit as low as 1,250 feet during the operational phase. When modeled assuming artificially high Peter Mitchell water elevation, the difference in water surface elevation between the two nearby pits (as much as 366 feet) would create substantial head pressure at the Peter Mitchell pit, which would tend to push groundwater from the north into the NorthMet east pit. By suggesting such a significant inflow, the model demonstrates, almost conclusively, that the Peter Mitchell pit and the NorthMet east pit are within the same groundwater system. According to Barr’s model, the inflow to NorthMet would slow drastically over time following closure of the mine as the end of pumping would allow the pit to fill with water, eventually reaching a surface elevation of 1,596 feet. Once filled, the pressure of the pit’s own water would essentially push back against the inflow of additional groundwater. Yet GLIFWC Environmental Section Leader John Coleman points out that these modeled results only occur if the water level in the Peter Mitchell pit is set higher than it is, or ever will be. In official comments to the lead agencies, Coleman argues that if the model incorporates actual expected water levels in the two pits, the water in NorthMet’s east pit is 300 feet higher and the model predicts a substantial northward flow of untreated mine water. That’s a point that DNR officials now concede. Still, DNR officials argue that changing one input to the model doesn’t necessarily lead to meaningful results. Despite such uncertainty, the DNR has postulated a theory that they now argue could prevent a northward flow of water from NorthMet. According to the DNR, if enough water from the surface leaked into the groundwater near the NorthMet pit, it could form a “groundwater mound.” If the mound is significant enough, it could block the northward flow of groundwater. While the agency has not modeled the idea, it did conduct what it calls “scoping calculations,” which indicated a mound could occur if there were five-to-eight inches of surface water leakage annually into the groundwater aquifer. DNR officials, however, don’t know if that much leakage is actually occurring. They say data from monitoring wells in the area suggest some leakage may be happening, although they acknowledge the issue is complex and that there is a high degree of uncertainty around the subject. “While this data could support the existence of a groundwater mound, which would prevent a northward flow, the possibility of northward flow cannot be completely ruled out with the existing data. This is why monitoring would be required to detect any potential northward flow, with mitigation available to prevent it if needed,” stated the DNR. In other parts of the FEIS, the DNR suggests there is little hydrological connection between surface water and groundwater in the area, which would suggest minimal leakage is likely. At the same time, the DNR notes that the rock that separates the NorthMet east pit from the Peter Mitchell pit is part of the Virginia Formation, which is known to be more permeable to water movement than rock in the Duluth Complex. GLIFWC officials discount the DNR’s groundwater mound theory as physically impossible under the circumstances, without the use of injection wells or other devices to physically push water into the aquifer. While the direction of groundwater flow is a key issue, GLIFWC officials say volume of flow is probably even more significant. The FEIS suggests that groundwater outflow from the NorthMet pit would be minimal, just 10 gallons per minute. But that’s true, in part, because Barr’s model suggests a southward flow through the relatively impermeable rock of the Duluth Complex, which is highly resistant to water movement. GLIFWC has not focused its concerns on NorthMet’s west or central pits because both of those pits are surrounded on four sides by the Duluth Complex, which means very little water movement, in or out, is expected, either during operations or following closure. They’ll act essentially like buckets, allowing water in or out only at the surface, where it is more easily treated. But, as the FEIS notes, the north wall of the east pit is comprised of the more permeable Virginia Formation, which separates the east pit from the Peter Mitchell pit. If groundwater from NorthMet flows to the north, the flow would be much greater, potentially hundreds of gallons per minute, according to Coleman. Think of it as a bucket with several small holes on the north side. According to GLIFWC, more water will escape the leaky side of the bucket. Indeed, the MODFLOW model used by Barr suggested 700 gallons per minute could flow through the system into the NorthMet pit if the Peter Mitchell water level is set artificially high. GLIFWC’s Coleman argues that once the correct water levels are used in the model, the projected flow reverses to the north, since water tends to run downhill, and the projected volume increases substantially— as in hundreds of gallons per minute rather than the ten gallons per minute suggested by Barr’s model runs. That’s why GLIFWC officials insist the modeling needs independent review.